In other times Jyoti could have gotten at least a little outrage for her, often all poor and the marginalized get in the country after such tragedies inflicted upon them. Alas, the country is busy over outraging the USD 1.7 billion fraud, and counting, that the Punjab National Bank has complained Nirav Modi and Mehul Choksi of committing against it. So she did not get even that. 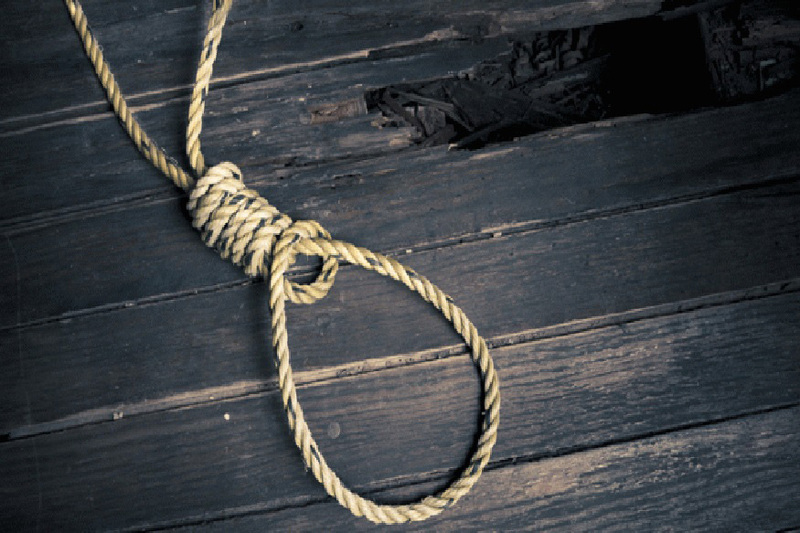 The 13-year-old Dalit girl reportedly hung herself after starving for food for two days last Friday in Nighasan in Uttar Pradesh’s Lakhimpur Kheri. The minor’s mother is a daily wage labourer and after the death of her husband a few years ago, she fed her four children by working for daily wages whenever she could. She had not found any in the past week, as is often the case in lean season for agriculture in rural India, so the family was going hungry. The administration, of course, is denying that the death is a starvation death, as it always does. Local media and opposition leaders are saying that it is, as they always say while in opposition. Administration did rush some food and other grocery items to the distraught family, as again, is always the norm. What not many are asking, as many never do, is the complete failure of the system and its public institutions meant to protect the poor and the marginalised. Not many question any of our public institutions in fact- be the banks or Public Distribution System. If the banking institutions worked, a fraud this big could not have gone undetected for so long. If the law enforcement agencies worked in the way they are supposed to, the scam accused could not have fled the country this easily. If the PDS system worked in the way it is supposed to, Jyoti would not have been forced to commit suicide. Coming back to her death, the administration’s denial cannot brush away the fact it is indeed a case of starvation death. Jyoti, along with the family, lived in a dilapidated hut. She starved for food for two days. After her mother went out to find some work on Friday, she went to her neighbours and begged for some food. She got two rotis, that is all, and came back to share the same with her siblings. A fight ensued over who will get how much, her elder sister marched out of the house in rage, after which Jyoti hung herself. The administration’s defense is that the family has an Antyodaya card and thus gets subsidised ration. It produced the records showing family receiving its monthly quota of 20 kilograms of wheat and 15 of rice in the first week. Jyoti’s mother agreed but added that it wasn’t sufficient for a family of 5 and got over by 20th February. That is exactly where the abject failure of our public institution gets apparent. What after the ‘quota’ of ration such families in desperate need gets over? How to help them survive then when there is no work either- anyone aware of Indian villages and agriculture knows that there are quite a few ‘lean seasons’- especially after sowing and harvesting. Why did no one saw this happening and reported to anyone, as people will in any real democracy? Where were the elected members of local administration? Why did the mother not go to them for help- for fear, ignorance, or sheer resignation- she knew that none would help? Also, did she have a job card under Mahatma Gandhi National Rural Employment Guarantee Act? Did she ask for work under its provisions and why, if she did not? Media reports are hinting at the fact that she had no work for almost a week and she survived by manual labour anyways. This is what binds most of the things in India, even as varied ones as scams and starvation deaths. The institutions that are supposed to keep a watch don’t watch out. The institutions that need to audit don’t audit. The institutions that are meant for vigilance don’t maintain vigilance. The institutions, which are supposed to deliver people’s legitimate rights, don’t deliver. The institutions that are meant to peoples’ reprehensive, from wards in a village panchayat to the parliament, don’t represent people. And then everyone outrages. This outrage industry, in fact, is more a part of problem than solution. Outrages ‘normalise’ tragedies that keep befalling upon the poor, the dalits, the minorities, and the tribal people and so on. If the crimes against women are not as gruesome as what was done to Nirbhaya, don’t expect much of an outrage. If the starvation deaths are not as recurrent as they were in Jharkhand off late, and are directly linked with something currently in news, AADHAR in this case, don’t expect much of an outrage. Outrages are also temporal- time and space often become most crucial factors in building an outrage- close to Delhi- expect an outrage. In Ahmednagar in Maharashtra or Nighasan in Uttar Pradesh, against don’t expect much of an outrage. Finally, outrages come with an expiry date. No one can keep outraging about something endlessly. Issues change, victims change, outrages change. The saddest thing with the outrages, however, is that why one should needs an outrage to get justice in the first place? Does our constitution not guarantee right to life with dignity, for example? Why, then, a 13-year-old Jyoti should require an outrage to get justice, along with fixing of command responsibility and prosecuting those in the administration responsible for the sad death. Same, as in the PNB scam case. Sadly, India needs institutions that work, that deliver, not outrages. Outrages cannot even make them work in fact, they can only trivialize tragedies in big and small, worth outraging or not. One of the reasons that a story like this breaks my heart and makes me angry is that it doesn’t have to be this way. No one needs to starve. Somebody has to take with wheel on the boat and steer it toward the actions that Janet did. She started with a few thousand dollars and a small walk-in closet to make one of the best large food banks in the USA. So we do not have starvation here. … If she can do it, so can anyone else and anywhere in the world. All it takes is will power, effort and determination. Do you know about what my MA Congressman Jim McGovern did on his birthday? He walked over forty miles (and don’t think that this action is fun because it hurts after a while, but you keep on going) to raise $10,000 USD for Western MA Foodbank. launching the Market Dollars program, designed to … Hunger Forum. Began planning for fall 2015 forum with Congressman Jim. McGovern, Franklin County. Community Action and Food. Bank of Western MA. 5 …. Objective 4.3: Support efforts of the Western Mass Food Processing Center to increase capacity for pre-. Oct 29, 2017 – Monday and Tuesday November 20th & 21st, Monte Belmonte and his entourage of marchers, including anti-hunger action hero U.S. Congressman Jim McGovern, will once again walk from Springfield to Greenfield to raise money for The Food Bank of Western Mass. Last year they raised over $211,000. Visit CityStage & Symphony Hall and GIVE BACK: Enter the code FOODMA to donate a portion of your ticket sale to The Food Bank of Western Massachusetts. Enter the promo ….. Thanks to all who participated, including Congressman Jim McGovern who’s been fighting hunger in Congress for many years. Recently, he .. This could become a very nice hobby for some group of people: Collect excess food from grocery centers, hotels and restaurants. Then distribute it or have a small distribution center where financially poor people cue up for food. How easy is that?